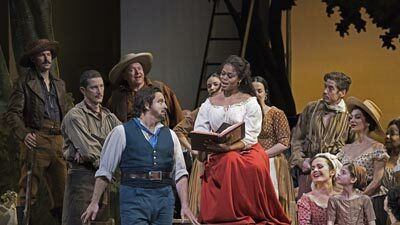 The clash between two queens, with the throne of England at stake, is at the center of Donizetti’s bel canto drama. 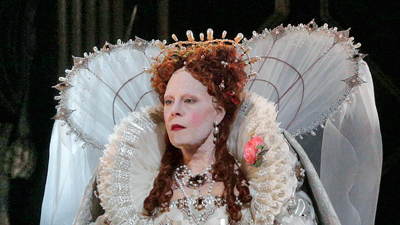 Sondra Radvanovsky, in the second part of her historic traversal of all three of the composer’s Tudor queen operas in one season, stars in the title role of the Catholic Mary, Queen of Scots. 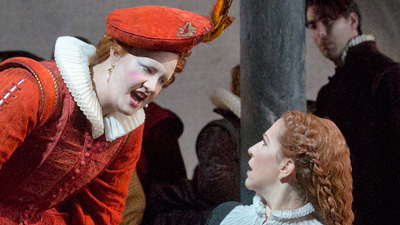 Her opponent is Queen Elizabeth I, sung by Elza van den Heever, as the Protestant ruler who knows her position is not secure as long as Mary lives. Tenor Celso Albelo is George Talbot, the Earl of Leicester and favorite of the queen, who urges her to reconcile with Mary. But when Mary insults Elizabeth, her tragic fate is sealed. Kwangchul Youn as Talbot and Patrick Carfizzi as Cecil complete the principal cast, and Riccardo Frizza conducts.